Postop abdominal radiograph of a 3 year old terrier who swallowed multiple pennies (pre 1983). 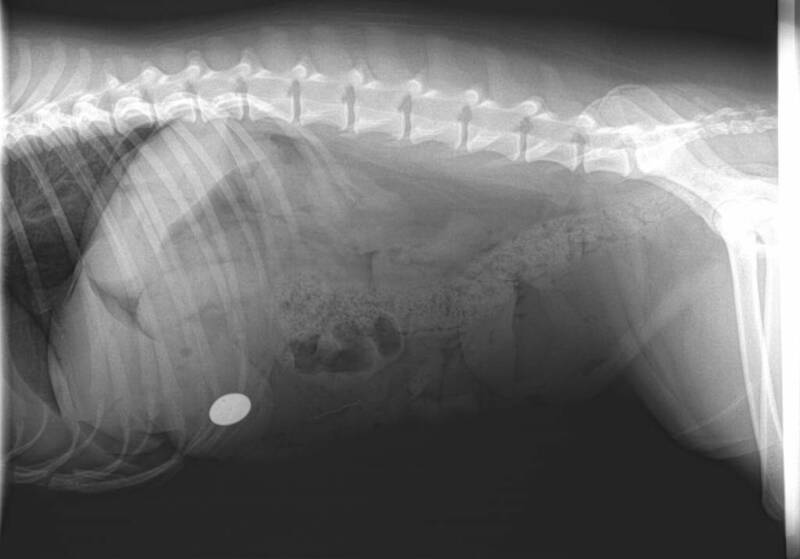 It looks like one penny was forgotten in the stomach since this is a postop X-ray and the dog swallowed “multiple” pennies. Immediate re-exploratory is mandatory given the date of the penny. Just like after bladder stone removal, it’s important to take postop rads to ensure that all radiopaque foreign bodies have indeed been removed. How did you do? Let us know in the comments below.